It’s important for you, the prospective patient, to choose a specialist whose practice is committed to your unique requirements. Any procedures involving the face and neck requires a plastic surgeon dedicated to a multidisciplinary approach to your well-being and the best possible outcome. Your improved appearance is more than simply a better nose and jawline. Your plastic surgeon should also recognize and value the importance of hairstyle, make-up, and overall skin care. Seek a good surgeon, but also a warm human being with a sense of beauty and harmony, one who keenly appreciates artistic style, and most importantly, possesses a sense of aesthetic balance; that special perception for what looks natural and attractive. I am very proud of the values shared by my team. You’ll be warmly welcomed to our practice family. Together we bring a perfectionist personality combined with a pleasant mood, style, and efficiency, to you. Find a plastic surgeon who is positive about cosmetic surgery, is enthusiastic and enjoys discussing and performing cosmetic facial surgery. Your surgeon should be interested in taking the time to answer any and all questions regarding your surgery before, and after the surgery. What are the physician’s qualifications? Where the procedures are to be performed? Who will provide the anesthesia? Who will supervise post-operative care? Are written quotations of fees provided? already had the procedure I am considering? Just as it sounds, Facial Plastic and Reconstructive Surgery is a specialty which focuses on improving or restoring normal function and /or a more youthful appearance to structures of the head, face, and neck. It is composed of two facets, the first being cosmetic or aesthetic facial plastic surgery. Aesthetic surgery is generally directed at reducing the effects of aging and reversing the unsightly effects of sun damage. Also encompassed in aesthetic surgery are efforts to “modernize” those patients who feel their features don’t meet the “look of the day”, such as lip size, facial contours, eyebrow height and configuration, hairstyle and skin tones. Aesthetic procedures are considered elective. The second facet of facial plastic surgery is Reconstructive surgery. Reconstructive facial plastic surgery encompasses reparation of congenital or acquired traumatic defects such as scars or bony abnormalities, and effects caused by removal of tumors or skin cancers. The purpose of Reconstructive surgery is to improve function and appearance. Also included in this aspect of facial plastic surgery is correction or improvement of previously unsuccessful or unacceptable surgery. Facial Plastic Surgical Procedures have had an enormous growth in popularity in recent years being utilized both by men and women. Health and fitness awareness appear to be partially responsible due to the fact that highly active people are living longer, healthier lives and they want their appearance to reflect this healthy, more youthful state. Also responsible for the increased popularity of facial plastic surgery is competition in the work place. More middle-aged professionals are sharing the arena with the younger competition and their appearance becomes an important factor in obtaining professional goals. An additional factor in the boom of our specialty is the tremendous advancement in both technology and techniques making facial plastic surgery safer, more comfortable and more convenient than in years past. Today, procedures are performed on an outpatient basis eliminating the need for an overnight hospital stay. With the use of sedatives for “twilight” anesthesia, patients have a pleasant recall of the whole process with no memory of the procedure itself. Facial plastic surgeons are, as a rule, governed by the American Academy of Facial Plastic and Reconstructive Surgery – actually an international organization whose central office is in Washington, D.C. Your Facial Plastic Surgeon should be Board Certified by the American Board of Facial Plastic and Reconstructive Surgery. important than your actual age (chronological age). Once the patient-doctor relationship is entered, there must be a mutual trust and the acceptance of mutual responsibility. As a physician, Dr. Strohmeyer will, to the best of his ability, keep you informed. He will perform the most suitable procedure and maintain an honest relationship. It is the responsibility of the patient to understand the limitations of human aging, scarring, and facial plastic surgery. You must be willing to carefully carry out pre-operative instructions and post-operative procedures. With the acceptance of this patient-doctor relationship, all parties involved will ultimately be happy with the outcome. As alluded to in the previous paragraphs, one must understand that the purpose of facial plastic surgery is improvement, not perfection. Prior to deciding to carry out any surgery, one must have mature, realistic expectations. Facial plastic surgery is not for everyone. You must understand that all defects are not always correctable and while plastic surgery may actually give your psyche a “lift”, it will not make an unhappy person happy. 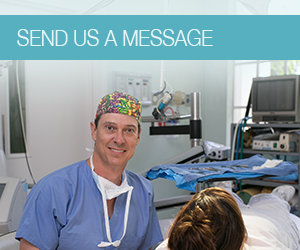 Surgeries are performed to correct specific problems – they will not improve relationships with family and friends. Dr. Strohmeyer will discuss with you the potential for improvement for various areas of your face and neck. Remember that the outcome depends not only on surgical skills but patient variables as well, including bone structure, skin texture, age, and health – all of which shall be discussed at the time of your consultation. Though we cannot ethically guarantee results, we generally state that a typical aesthetic procedure will improve a patient’s appearance by one level. In other words, it would be very difficult to obtain excellent results on a below average deformity. Assuming that all variables surrounding surgery go well, there is a reasonable chance that the end result might be one or two steps higher than the condition which existed prior to surgery. It is imperative that both patient and surgeon realize the limitations of potential improvement in each case. 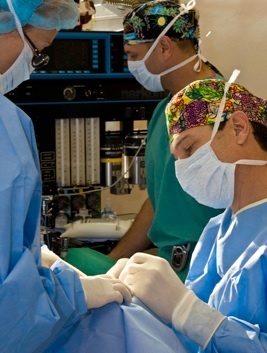 All surgical procedures have potential risks, included in these are reactions to anesthesia, infection, poor healing, injuries to muscles, nerves and other underlying structures, numbness, swelling, discoloration, asymmetries, scarring, and those that are statistically unlikely such as blindness, paralysis, or even death. Patients are encouraged to inquire further about the risks of the surgery they are contemplating. It must also be understood that the aging process is not stopped after Facial Plastic Surgery – but rather, “the clock is turned back”. Your skin will age after surgery only as well as your skin was – and is maintained. Remember, in ten years you will continue to look better than had you NOT had the surgery in the first place. You can expect temporary swelling, firmness and discoloration following surgery. These decrease with time as the excess fluid and clotting materials resolve back into the blood stream. You should ask what to expect with your procedure. Whenever an incision is made in the skin a scar will ensue. Nearly all of the incisions we use are kept narrow and camouflaged in natural facial folds and creases or are hidden by the hairlines. Early on, however, they will be raised, pink and somewhat swollen. These need time to mature and become less conspicuous. Usually they become virtually imperceptible to the casual observer. Occasionally they need to be camouflaged with cosmetics and hair styling. Finally, the patient’s overall attitude and health play an important role in the result of any surgery. We recommend that you see your personal physician for a routine check-up prior to surgery. We will be happy to assist you if you have a problem getting an appointment. Patients undergoing eyelid surgery should see their eye doctor for an examination prior to surgery. During the consultation your desires will be discussed. The condition you wish to have corrected will be examined and you will be given a realistic opinion of what we believe can be accomplished. The interview should be relaxed, unhurried and enjoyable as we want to know you and learn your specific desires so we can determine that practicality of the requested surgery and be certain that your expectations are realistic. Specific procedures will be discussed in detail and in non-medical terms. Your every question will be answered with frankness and patience. A set of medical photographs are taken so we can review them and record the pre-operative state of the condition in question. Pre-operative laboratory studies might be necessary in some cases. Patients with time schedules (school or work) should let that be known early so that arrangements might be made on our surgical schedule.